Upon starting the day I had originally thought about going sugarless for the entire day (eh, maybe another dare here within the 31?). 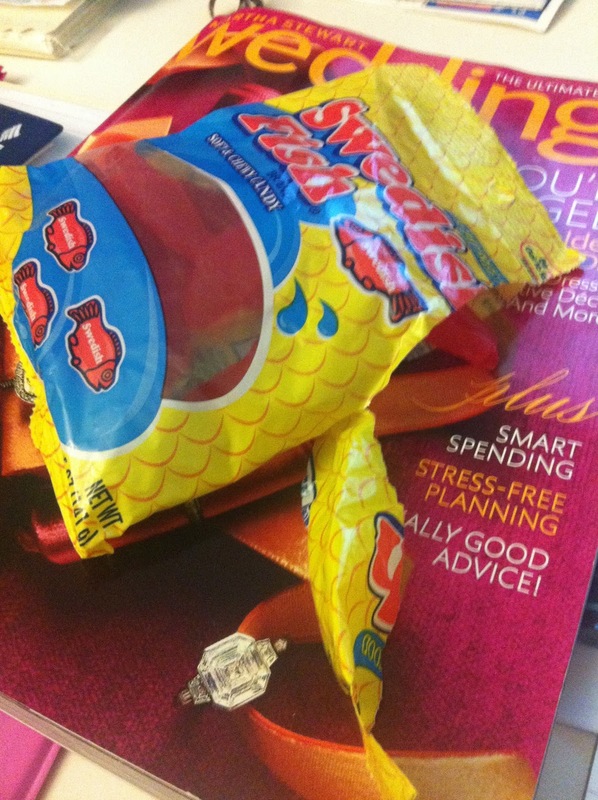 However, I walked into work and in my station was a sweet little surprise- Swedish Fish! I habitually opened them forgetting what I thought I was going to embark upon for the day and right as the seal broke, I thought well there went my sugarless plan for the day. Oh well, maybe what I need is a day to be free, eat what I desire and love every minute of it. But, I really do believe in those free days here and there, which I must admit are a challenge for me to let loose about. Some may call my eating a diet, I call it a lifestyle. Once you have free days and allow yourself to relax about it, you can then appreciate your clean food on the flip side. And your body will as well. Make sure to keep yourself balanced and sane with letting go for the day. Maybe the entire day is too much? Well then have a free meal. Whatever you choose, back it up, support it and love every minute of it! You deserve it! Most importantly commend yourself for being free and limitless for the day! Yes, this is a dare and challenge for some of us! Whats your favorite thing to have on a free day? What is your go to treat or meal?